The entire fandom is waiting eagerly for the audio launch of 2.0 in Dubai. There has been a spectacular set erected at the venue, and we got hold of a few glimpses of the set and boy oh boy! DIrector Shankar addressed the media at a press conference held today, and we have details! 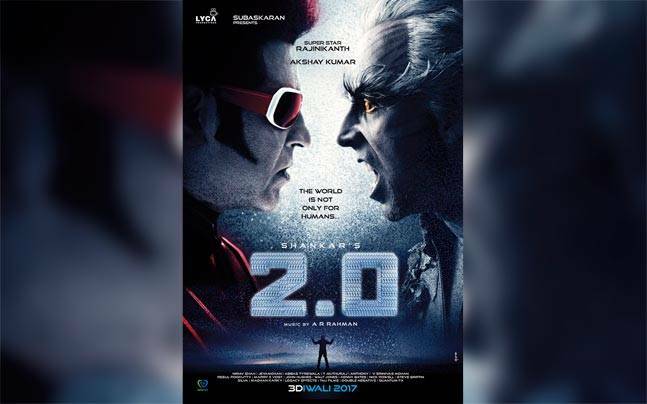 Upon questioning about the much hyped sequel that people have been waiting for, since Enthiran/Robot, Shankar said "I did not do a sequel just for the sake of it, I waited years to get a proper script. In fact, this story doesn't start from where the 1st part ends. It is completely a different story altogether. I retained the characters from the first part to have a relatability factor." Guess we have a whole lot of action packed story coming up early next year!